let one our our Customer Service Representative help you today. *Federal Regulation and our deposit agreement permit or authorize no more than six transfers and withdrawals, or a combination of such transfers and withdrawals, per monthly statement cycle for a money market or savings account. The transfers and withdrawals limit applies to those made to another account, including your transaction account at Colony Bank or to a third party by means of a preauthorized or automatic transfer, or telephonic (telephone/PC) order or instruction, or by check, draft, debit card, or similar order made by you and payable to third parties. A preauthorized transfer includes any arrangement by Colony Bank to a third party form your account upon written or oral instruction, including an order received through an automated clearing house (ACH) or any arrangement by Colony Bank to pay a third party at a predetermined time or on a fixed schedule (e.g. bill payment). Unlimited transfers and withdrawals may be made by mail, messenger, and automated teller machine (ATM), in person, or by withdrawals made by telephone (via check mailed to you) under an arrangement that - Permits transfers for the purpose of repaying loans and associated expenses at Colony Bank; Permits transfers of funds from the money market/savings account to another of your accounts at Colony Bank; or Permits withdrawals (payments directly to you) from the money market/savings accounts. Unlimited withdrawals, deposits, and transfers can be made in person at Colony Bank's ATMs and banking locations. Perfect if you want a savings account with check writing capabilities. 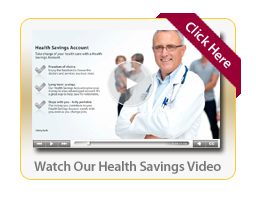 This is an investment product for tax-deductible** Health Savings Account contributions that offers the convenience of check-writing and debit card capabilities for paying qualified medical expenses. Perfect if you want a savings account with check writing capabilities. Colony Bank IRAs provide one of the safest ways to save for retirement, since they are FDIC insured and offer steady returns. IRAs also provide tax advantages for your long-term retirement savings. Start contributing now and let your money grow for your benefit. The safest way to save! We offer many flexible terms, from 7 days to 72 months, with options to automatically transfer interest to a checking or savings account. You make the choice whether your interest is paid monthly, quarterly, semi-annually or annually.